Bush, George W. & George H.W. Bush. New York: Crown Publishers, 2014. 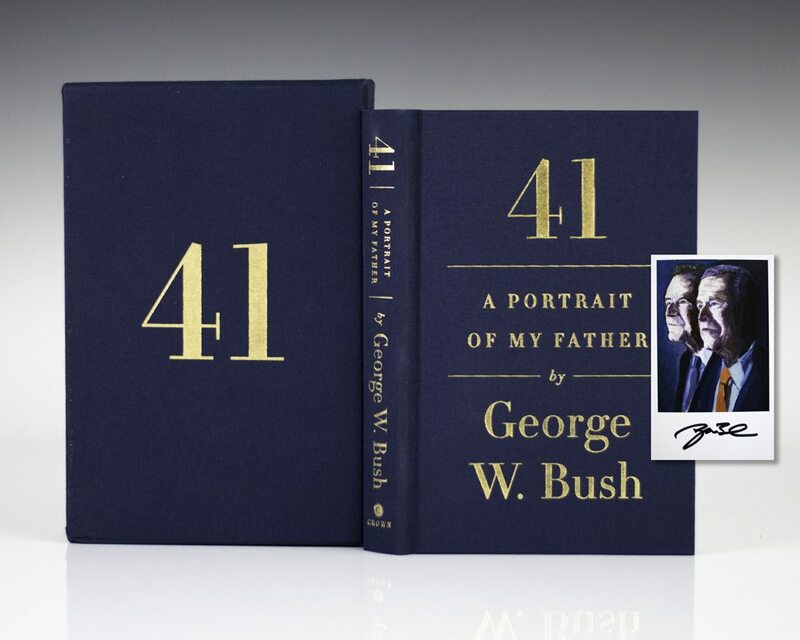 Signed limited edition of President George W. Bush’s “loving testimonial” to the life and legacy of his father, President George H.W. Bush. Octavo, original cloth, with 26 pages of color and black-and-white illustrations including two color frontispiece portraits. Signed by George Bush and additionally signed by George H.W. Bush. Fine in a fine slipcase. Rare signed by both Presidents. Forty-five men have served as President of the United States. Countless books have been written about them. But never before has a President told the story of his father, another President, through his own eyes and in his own words. A unique and intimate biography, the book covers the entire scope of the elder President Bush’s life and career, including his service in the Pacific during World War II, his pioneering work in the Texas oil business, and his political rise as a Congressman, U.S. Representative to China and the United Nations, CIA Director, Vice President, and President. The book shines new light on both the accomplished statesman and the warm, decent man known best by his family. In addition, George W. Bush discusses his father’s influence on him throughout his own life, from his childhood in West Texas to his early campaign trips with his father, and from his decision to go into politics to his own two-term Presidency.